Meet Chris (15), Brandon (14), Lesley (14), Libby (14), and Brittany (12). 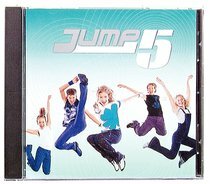 Perfect for kids 12 and under, this energetic CD will have your kids jumping around the house singing praises to God. Perfect for fans of Hi-5 and Rocfish.